Project partners are working with community leaders in the Town of Exeter, NH, to incentivize resilient development strategies through the development of a subwatershed scale implementation plan and climate adaptation policies combined with innovative communications that illustrate the economic benefits of flood adaptation. 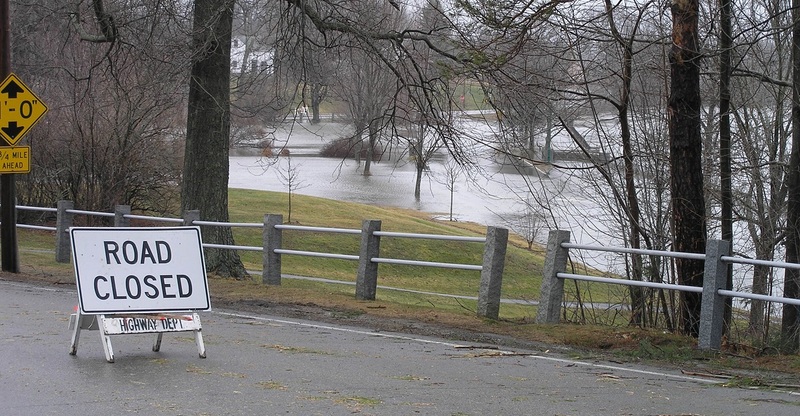 The RPC regional planner will work with the Town of Exeter to develop community-tailored Climate Adaptation Policies. The process will be guided by a Steering Committee to provide formative direction throughout. A vulnerability analysis of municipal drainage infrastructure and shorelands will be conducted in combination with an examination of flooding extent and climate adaptation strategies at the subwatershed scale for the purpose of developing site-specific implementation plans and construction ready designs. Lastly the project will engage coastal zone communities with an outreach effort using innovative messaging to communicate the social, economic and environmental impacts from flooding to the public in vulnerable areas. Innovative visualization tools and approaches will be installed in key public places to illustrate climate vulnerability in both physical terms, such as flood elevations with high water marks, and economic terms such as the risk to the local economy and fiscal impacts.